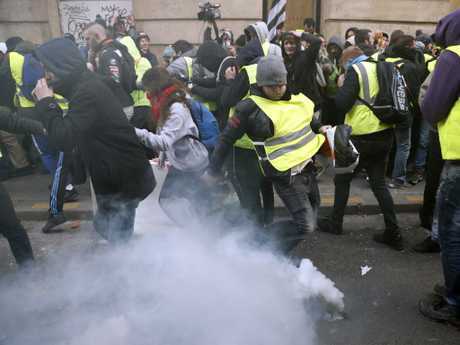 Paris is once again a city under siege, as thousands of riot police continue to clash with protesters in the nation's worst urban riots in decades. 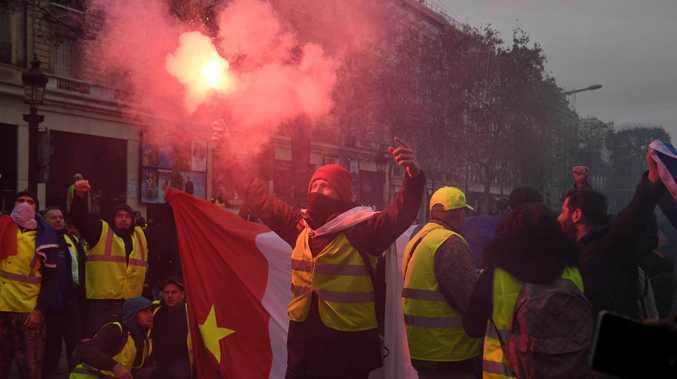 Authorities said an estimated 31,000 protesters had turned out across France for the "day of rage". 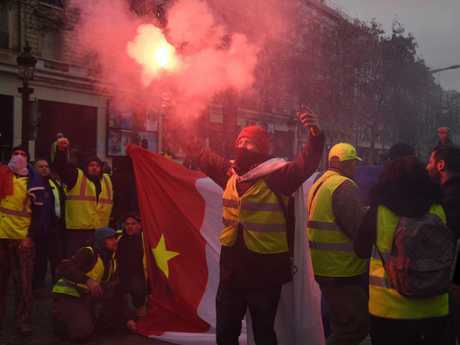 However, up to 25,000 people also marched through Paris urging greater action on climate change, despite fears that their protest would be scuppered by "yellow vest" demonstrations. 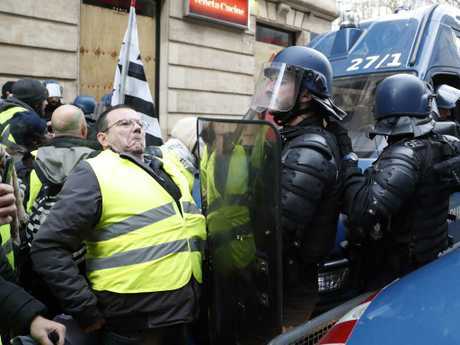 Shops were boarded up along the Champs-Elysees to prevent the looting seen last week when tens of thousands of people joined the "gilets jaunes'' - meaning yellow vests, for the high-visibility vests the protesters are wearing - in a rampage down the boulevard. Riot police in bulletproof vests and helmets are manning barricades set up around landmarks such as the Arc de Triomphe, France's military memorial, which was defaced by protesters last week, and the Elysee Palace has been sealed off. 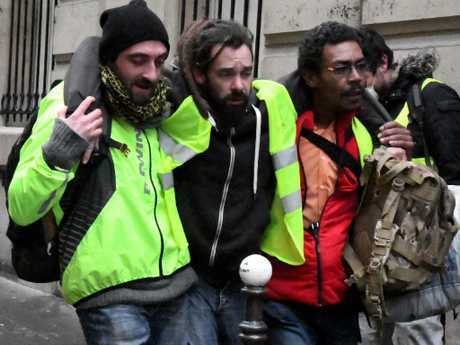 Most of those arrested - more than 500 according to the French government - were charged with carrying items that could be used as projectiles, with police searching all those arriving at the protest zone near the Champs-Elysees. 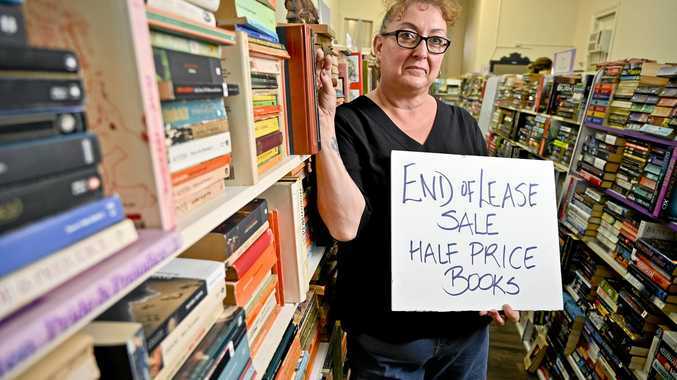 The president's rapid attempts to reform the sluggish French labour market, and what is perceived as his highhanded manner in rarely appearing in public to explain his reforms, have infuriated many particularly in rural and regional France. President Macron has acknowledged the mayhem only briefly in public, with statements from the G20 in Argentina, although he later visited police and firefighters to thank them for their response for last week's mayhem.